What, then, are we to make of those who toil in the dark relative to the brightest stars? 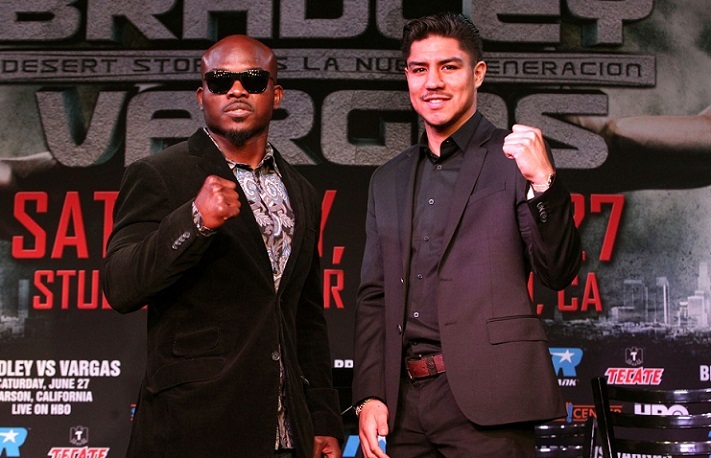 In the cases of Tim Bradley and Jessie Vargas, this comparative obscurity is not a choice, but where they find themselves despite years of attempts and opportunities to shine. Bradley and Vargas, who face each other on HBO tomorrow night, hover at slightly different tiers of talent and experience, yet find themselves in similarly thankless positions. Between 140 and 147 pounds, Bradley has faced some of the best possible opposition, yet finds himself on the outside looking in as other boxers with lesser credentials (but the right promoters) enter the Mayweather Sweepstakes. Vargas is 26 and unbeaten in as many bouts, having steadily worked his way to winning a belt and defending it twice, but is an afterthought in all big fight discussion. Adding to the curiosity is the fact both men are prone to being drawn into entertaining tussles. 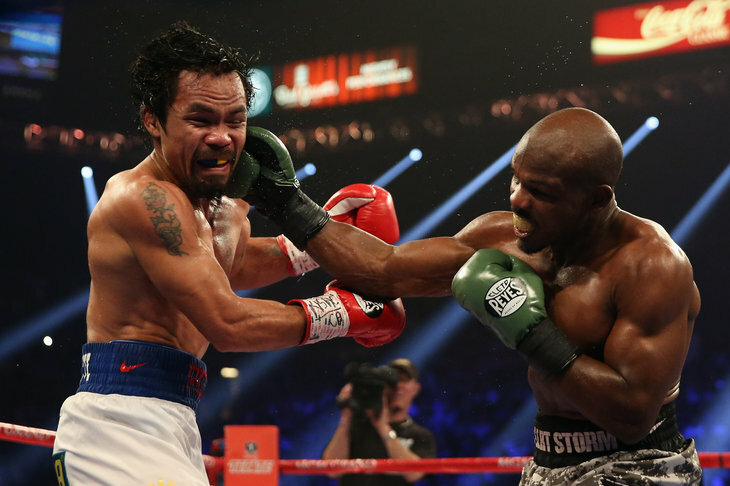 In a slugfest which topped many “Fight of the Year” lists for 2013, Bradley fended off Ruslan Provodnikov to win a controversial decision, despite fighting concussed for the majority of the contest. On the undercard, Vargas fought then-unbeaten Wale Omotoso and survived an early knockdown and the follow up attack to win a controversial, yet entertaining decision. Oddly, those two fights also represent why neither has been an easy sell. For all of the talent and chances between them, neither Bradley nor Vargas can separate themselves from the tier below by earning clear, indisputable wins. Asterisks fill Bradley’s ledger and dot Vargas’, as both have wins that could be called losses, or were pushed hard by fighters unqualified to do so on paper. When boxers take home purses well into the six- and seven-figure range, sometimes it’s not easy for the average fan to pity their situation or give them many passes. It’s not to suggest that fighters shouldn’t be well-compensated for what they do so much as an inability to relate to the struggle at the top. Vargas, for instance, has been blue chip since his prospect days competing on Mayweather undercards, or headlining smaller shows. The last time Bradley fought someone with no major network experience was in 2007, against Miguel Vazquez, who went on to earn that experience. They did not come from obscurity. Spilling inordinate amounts of blood seems to be the only way to be excused for the inability to plainly thrive. As usual, a prime example remains Arturo Gatti, who could never triumph in his biggest steps up but was beloved nonetheless, due in no small part to his constant bloodletting and sanguine sacrifices. Bradley and Vargas entertain, but not nearly on that level. The difference between Bradley and Vargas, in terms of expectation, means that Bradley should feel the greater pressure to perform well. At 31 and with a record of 31-1-1 with 12 knockouts, Bradley is constantly fielding questions about why he isn’t respected more, or what must be done to become a true star. While defeating Vargas wouldn’t bring him accolades, losing at this stage would only serve to completely shut the door on a potential rubbermatch against Manny Pacquiao or a shot against Mayweather. Vargas, pegged lucky for having gotten scorecards against Omotoso, Josesito Lopez and Khabib Allakhverdiev, is young and malleable enough to eat his first official loss and move on without much issue. Inside the ring, Bradley vs Vargas is slightly difficult to figure. Neither fighter is a big puncher, but Bradley has faced far better opposition and has speed and tenacity on his side. At his best, Bradley swarms his foes and forces them to think more than they intended to, overwhelming them with frenetic energy. But one of the best weapons to offset a perceived speed, timing or even output advantage is a good jab, which is likely Vargas’ best asset. Further, Vargas is a busy fighter too, generally outworking opponents, as nine lonely kayos on his record indicate. Bradley mixes it up with Pacquiao. When two fighters have similar styles or approaches, often the winner is the one willing to abandon the script and try an alternative tactic. Vargas’ trainers have played a prolonged game of musical chairs, even if his style has largely stayed the same. Replacing Roy Jones, Jr. in the trainer role is Mexican legend Erik Morales, who is less likely to rap to Vargas in the locker room pre-fight, but is also less distracted by outside ventures and his own career. But with very little time in Vargas’ corner, Morales won’t make any huge changes. Whether either fighter has truly fulfilled their potential is unclear, but the first step toward escaping the shadows of welterweight giants is to win. As the chip on Bradley’s shoulder grows and the idea that he has something to prove after what he’s done lives on, so does his hunger. 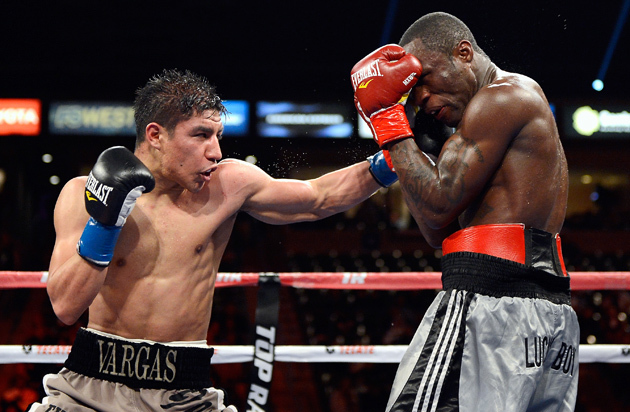 While Vargas is good, Bradley should prove he’s better, and decisively.